First and foremost, pardon for not having proper outfit shots. I was on full vacation mode while in Boracay that taking photos of what I was wearing was the last thing on my mind. I just needed to share this look on the blog because this maxi romper is one of my favorite things to wear recently. It took me a long time to give into buying this maxi romper. 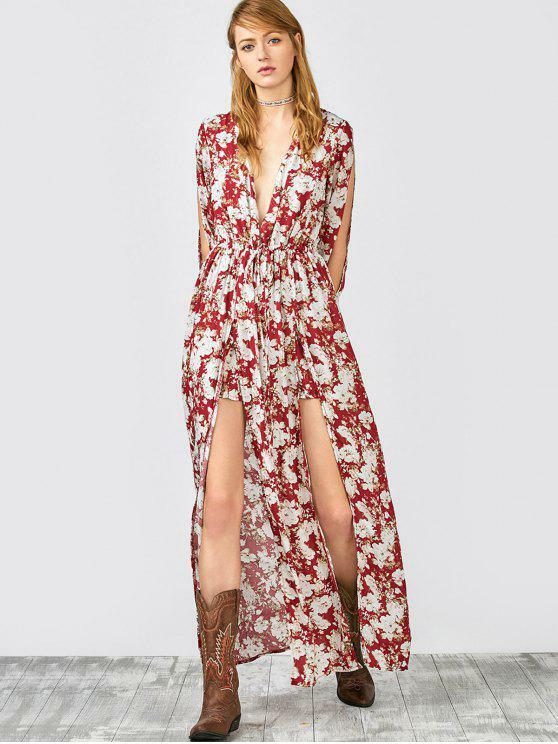 I love wearing a maxi dress and romper, but at first I thought it was somewhat ridiculous to combine the two. To my surprise, putting this on felt so comfortable. When you're on vacation and you spend a lot of time walking around, you will appreciate how comfortable this outfit can be. I like that you can get the comfort of wearing shorts but also the fashionable touch of wearing an off-shoulder maxi dress. It felt so summer-y and beach-y, which truly made it an essential in my packing list. Lastly, anyone who has read this blog before knows how big of a fan I am of any floral prints. The summery floral print with the vibrant burgundy was begging to be on my vacation packing list! I can't deny that this was one of my favorite outfits that I wore during our most recent vacation. At only a little over $25, the fabric felt more expensive than it really is. That is a good deal in my book! 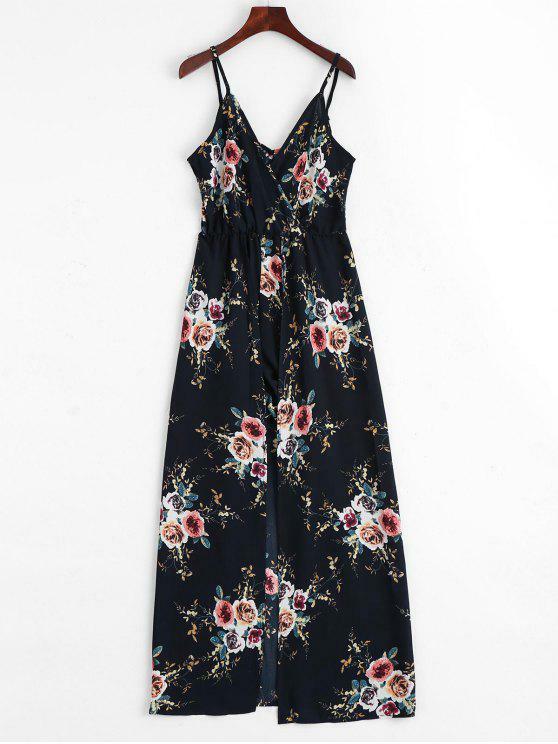 I know I am a bit late to the trend, but I wanted to ask: would you wear the maxi romper trend? 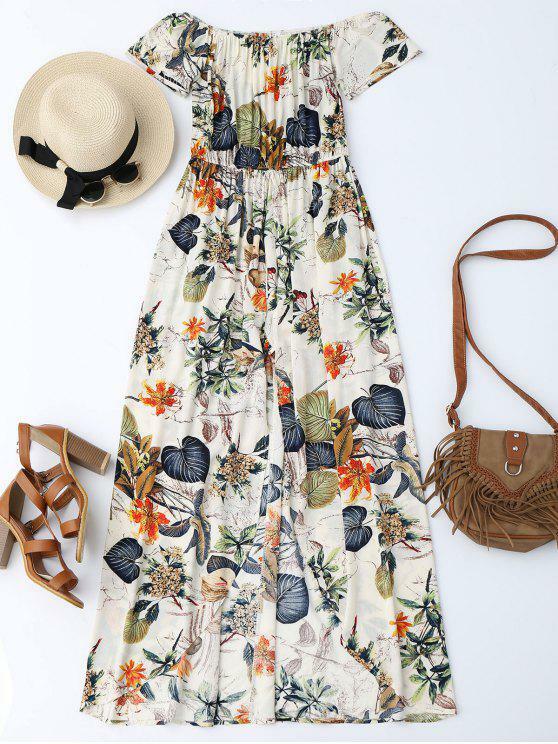 Cute maxi romper, the print is cute. And you look like a beach goddess, dear! Love this maxi romper! The color is beautiful and looks gorgeous on you!! as always a great article. I read well. I see you know what you're doing and you're going.Just the next one. You have my support.